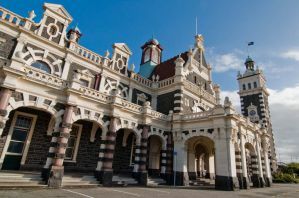 Dunedin offers a nice respite from the wilderness of the South Island in the form of restaurants, shopping, architecture, and entertainment. The following hostels will help you enjoy your time in this historic town full of students, whether you're recharging for your next adventure for sticking around for the social life. 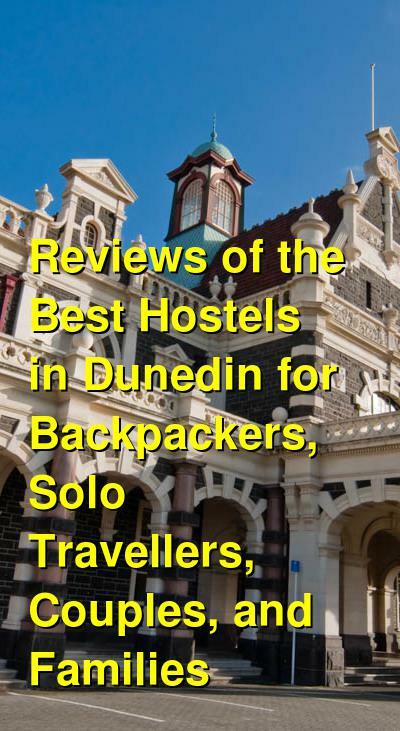 How much do hostels in Dunedin cost? The name of Central Backpackers is accurate as this modern and comfortable hostel is located next to the Octagon in the central area of the city. A long list of great amenities is in store for travelers bunking here. First, they offer a free self-service breakfast, plus a very nice communal kitchen for those that wish to cook. The common room is a great spot to socialize with nice sofas, a TV and PS4, and bar stools. Both dorms and private rooms are available (plus all-female dorm options). The rooms, even the dorms, are nicely appointed with more furniture than just bunk beds; they have dressers with mirrors, nice chairs, and rugs. These features, combined with the friendliness of the staff, will help make your stay enjoyable, comfortable, and fun. Tour booking is also available, as is laundry, lockers, and free Wi-Fi. Guest reviews highlight the nice modern facilities, the cleanliness of the place, the quiet vibe, and the cuteness of the resident cat. Just off the Octagon in the center of town sits this relatively new, modern, custom-built hostel with a rooftop terrace and onsite bar and restaurant. The dorms are quiet despite the bar, and they offer a free breakfast. The common area is fun and social with a TV and sofas, and a modern communal kitchen is available for those that wish to cook meals. Security is good with key-card access. The friendly staff will help with anything you may need. Located in an older building that has been renovated into a hostel, and set in a quiet street not far from the city center (10 minutes walking to the Octagon), the Manor House has something for everyone. The overall decorations and atmosphere reflect the 1920's style house, while the dorms and private rooms are modern and updated. The communal kitchen is large and offers a lot of space for guests who wish to cook. And their outdoor patio area with tables is a great spot to mix and socialize with your fellow guests, and make new friends. They also offer free Wi-Fi. The hostel receives high marks from guests for the friendly staff, the cheap prices yet great amenities, and overall social vibe. A good location in the center of town, combined with a nice list of amenities makes this hostel a good choice. Dorms and private rooms are available, including an all-female dorm option. Laundry, great Wi-Fi, free breakfast, a fully loaded communal kitchen, and a fireplace top off the list of nice amenities here.